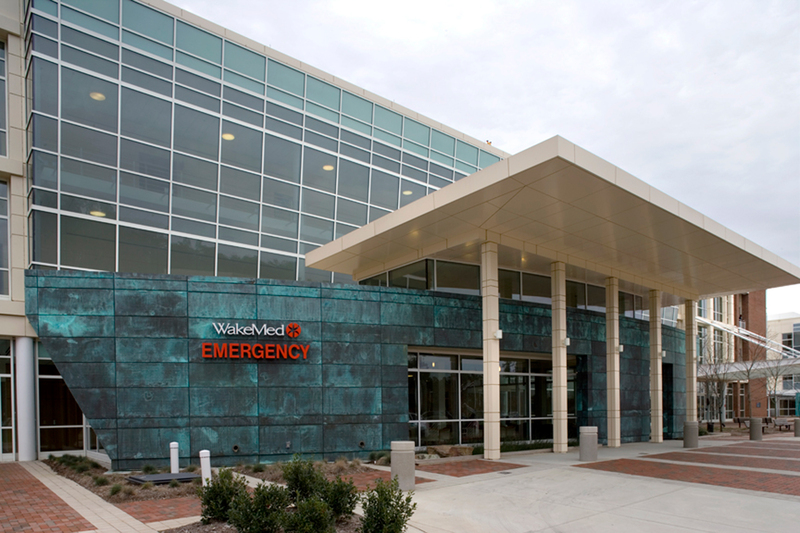 BBH Design and Interior Design Associated established a new model for full-service emergency health care in North Carolina with their new WakeMed Health Care Complex, in Raleigh. The 13,500-square-foot building opened as the first 24-hour, freestanding emergency department in the state. 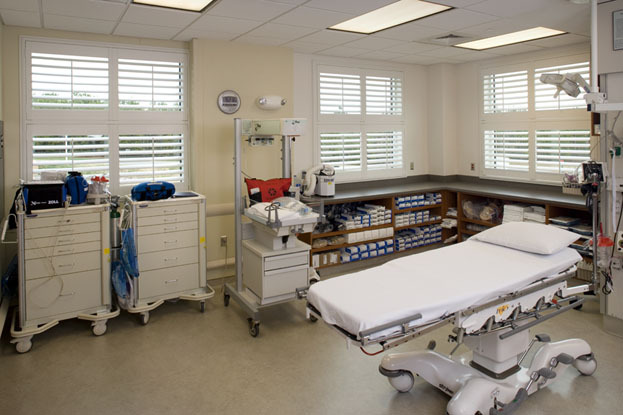 The facility "breaks the mold of the traditional emergency department [attached to a hospital]," according to Rich Beale, Partner with BBH. 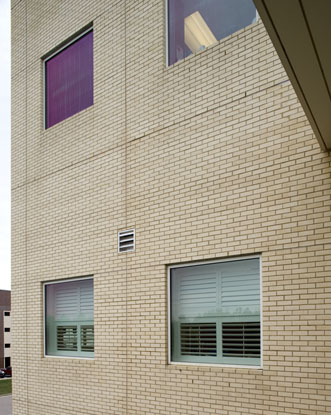 "Throughout this project, both the client and the design team demonstrated progressive vision," he added. 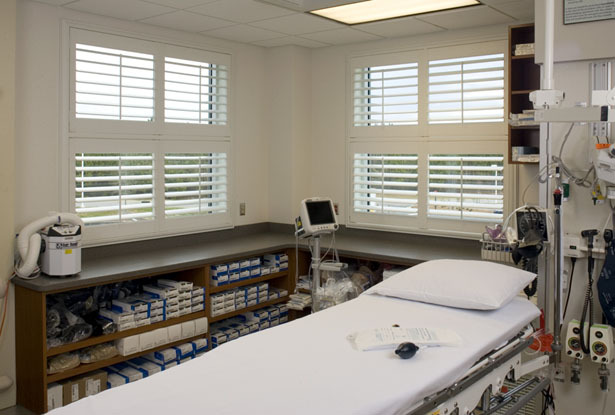 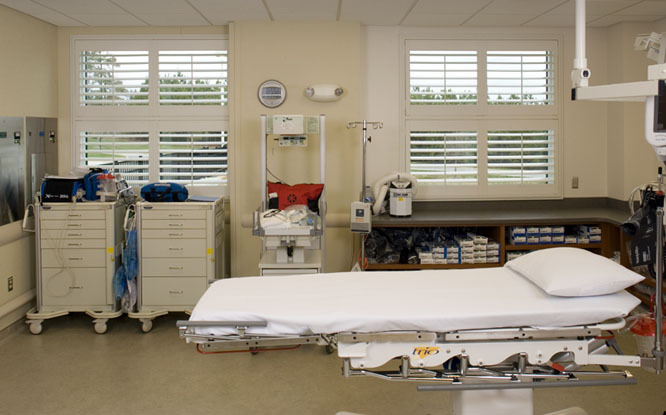 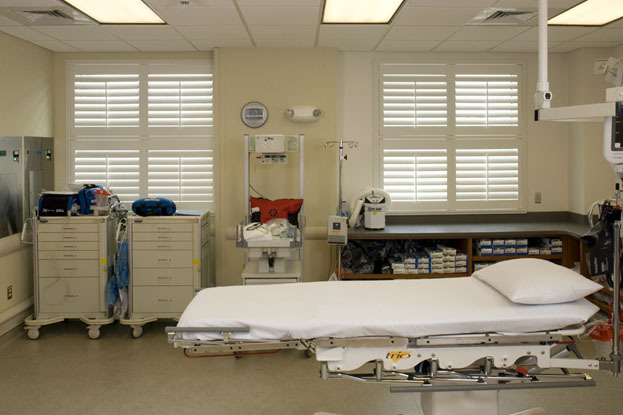 His firm's use of durable Hunter Douglas Palm Beach Shutters in treatment rooms was equally progressive. 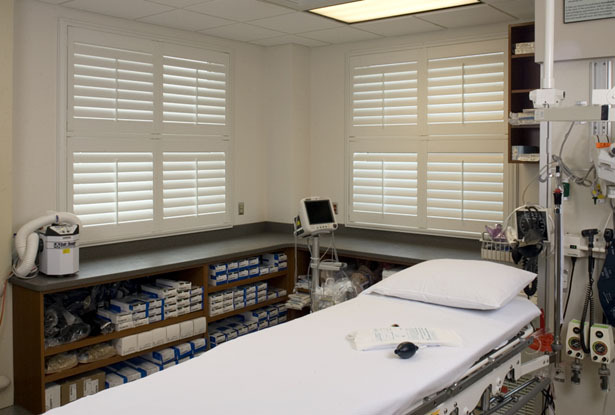 According to shading expert Mike Owens of Contract Shading Solutions, who supplied the system, "The shutters' poly-satin construction is not only easy-to-clean, but also flame retardant, resistant to microbe growth, and a protection against ultraviolet light." 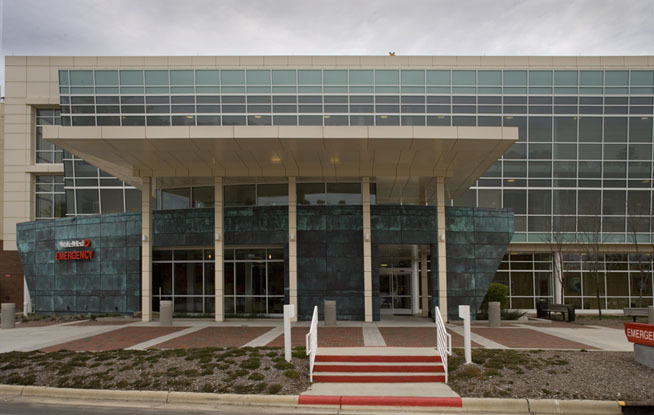 The center has been well received since its opening and was cited by local business press as the project "that most contributes to an improved quality of life" in the area.